"Hiller" and Officer Shaffer have been training in Florida and hope to come home to Trinity in November. Every year, school administrators devise new ways to make the school environment safer for its faculty and students. This year, it has been decided that a K-9 unit will be used to make this possible. K-9 “Hiller” soon will be welcomed to Trinity. 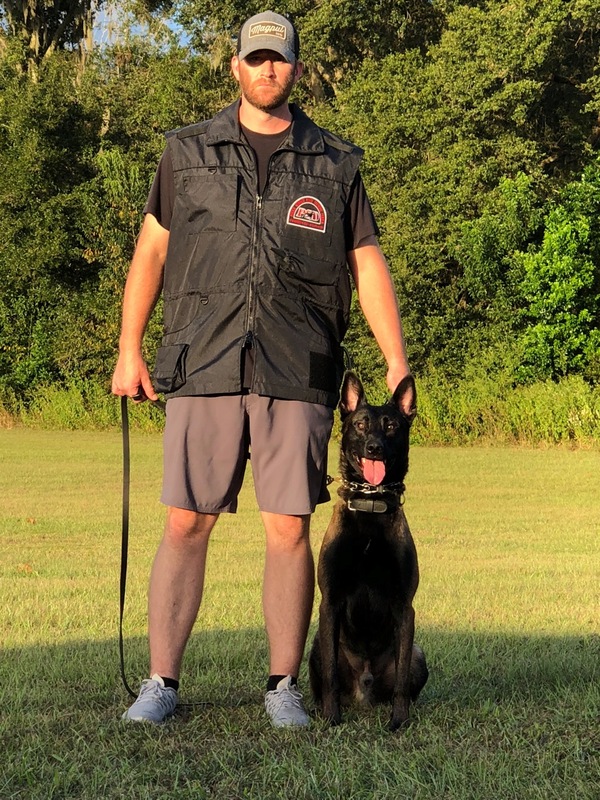 “Hiller’s” handler and trainer, Officer Ben Shaffer, has much experience with training canines and instructing handlers throughout the world. Shaffer has done military and police K-9 training for 14 years, working as a handler, trainer and instructor. He supported the 2nd Amphibious Reconnaissance Battalion while serving in the U.S. Marines as a combat K-9 handler in multiple theaters of operations. “I was a Marine for seven years, achieving the rank Sgt., and served multiple combat tours including time in Iraq and Afghanistan,” Shaffer stated. K-9 “Hiller” will be visiting all district buildings and sporting events where he will be expected to detect contraband, track persons and conduct random security patrols. “Hiller” should be arriving at Trinity on November 12. 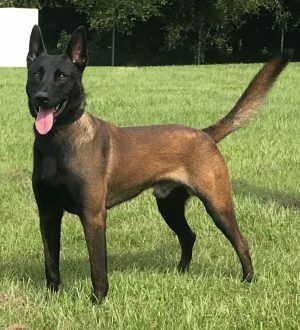 “Hiller” is a one and a half year old KNPV pre-titled Belgian Malinois. “Hiller” was imported from Holland by Police Dogs Incorporated, a company in Oxford, Florida, that specializes in providing high quality social police dogs. Training began on Monday September 17, 2018. “Hiller” should arrive at Trinity on November 12.